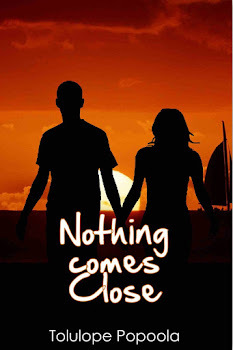 On Writing and Life: Interview with Lara Daniels - Author of "Love In Paradise"
Interview with Lara Daniels - Author of "Love In Paradise"
My name is Olubunmi Akindebe. Here in the United States where I live, I am called Boomie, but more recently, I have been known as Lara Daniels – My pen name for my novels. During the day, I am a registered nurse working in a very busy ICU here in one of the suburbs of Dallas Texas. My day job also involves being a part time student at an Online University with plans to graduate with a masters degree in Nursing; a full time wife and a full time mom to a full time hubby and two kids respectively. At nights however, I am a full time writer. I have been writing since I was ten, way back in Secondary school - back home in Nigeria when I was in form one, or what is now known as JSS one. Love in paradise is a purely African romance-suspense novel that displays a continent that is steeped in romantic sentiments, just as much as that of the western world. The book features the enigmatic multimillionaire, Tony Da-Silva who has some serious trust issues and Mimi, a new pharmacy undergrad who is dealing with a tragic loss from her past. In the background is a maniac who has a vendetta against Tony. When Tony and Mimi come together and fall in love, their issues forever become a thing of the past. Also, the antagonist comes to his own terrible end at the end of the book. My inspiration was my faith in a God whom I have always claimed is romantic in his very nature. This is how I see it: That the God of heaven and Earth... the greatest, most wealthy, Almighty Being in the entire Universe would stop at nothing to claim us for himself. He will move mountains, shake the earth and even bleed to death for the cause of humanity. That to me is the purest meaning of romance. Every other story seems to pale in comparison to his deeply potent sentiments for us. Are the characters and events based on real people and events? Yes, most of the characters are based on real people. For example, Tony Da-Silva’s character was based on my handsome husband of course (LOL). The fictional city mentioned in the novel, Laketown, was based on mutual experiences of living in Lagos and the beautiful city of Kaduna in Nigeria. I also had to drum up experiences of visiting Vancouver, Canada - another beautiful city to make up Laketown city. The book is primarily romantic suspense. Do you believe in love and happy endings? Yes. Yes and yes. I believe so much in love and happy endings. Love signifies Hope. It exudes joy. I am a hopeless “love” believer. I will not read or watch anything that ends unhappily. The hardest part about writing this book was incorporating the love-making scenes with the message of hope in a loving God that I wanted to convey to my readers. A very good romance novel needs to have the feely-touchy parts, but at the same time, I had to balance the sensuality involved with my faith ... a feat I think I did quite well eventually. Although, it was not easy. Gosh! I have written so many stories but none ever got published. I wrote them for the enjoyment of my classmates back in Secondary school and in University, and once everyone had read it, I threw it in the garbage. However, now that I am more matured and with more encouragement from my biggest fan – my husband, I have completed two books, one of which has been published. I am currently working simultaneously on my third and fourth novels. I am three-quarters done with my third, and one quarter done with my fourth. What is your schedule like when you're writing? I am a night owl, so I write at nights mostly. Occasionally, you may catch me writing during the day when my hubby is out running errands and my kids are busy watching TV. Otherwise, its nights only. And I can write all night without a wink of sleep. Without an iota of fatigue. It took me approximately six months. I have heard very encouraging responses, most of which has been “You’ve got to write a sequel.” Thankfully, now I have. The first lesson is for readers of all cultures to understand that Black Africa ( and I am not talking about White South African writers) has romance running in its veins. The second lesson is that black African men are romantic too... in their own special way, with their territorial and often possessive flairs. The third is that there is a God who loves us – one who is even more territorial and possessive of those he loves, a message that is echoed all through the book. What are the challenges you encountered in writing and publishing this book? I did not have so much trouble in writing the book, but I had issues with publishing the book – which is the not-so-fun part about the writing industry. I came to realize that publishing is a business and like all businesses out there, it can be cold, unfeeling and un-receiving. I am not a business person by nature, so that was a tough sell, trying to publish the book – which really meant marketing the book so others can read it. However, I have received so much encouragement to keep going on, so I guess I am still here, doing that which I love best which is writing. I know this might sound rather uncanny, but my biggest writing hero is David of the Psalms. I love the way he wrote those beautiful psalms... the way he conveyed his feelings. One can always relate to whatever emotions he is going through just reading his works. Other big inspirations for me are Chinua Achebe, Wole Soyinka and Ola Rotimi. More recently, my biggest romance hero has been Lisa Kleypas who has many romance novels under her belt. 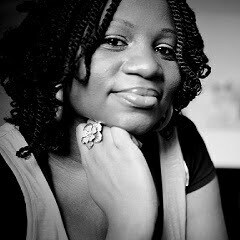 Another writer who I am beginning to admire is Tolulope Popoola whose tenacity in this industry has encouraged me to keep moving on, no matter what. My inspiration comes from true-life experiences. Observing everyday people with their unique stories and pulling that into a readable Drama piece. I am currently reading Lisa Kleypas’ Smooth Talking Stranger. I have read it before but I am reading it again just for kicks. Before then, I had read and re-read, “In My Dreams It Was Simpler” just so I could play this ridiculous game of predicting what would come next in the sequel. I learned that I fall in the habit of describing way too much. In real life, I have a tendency to be a talkative, if given the chance, and I think I translated my talkative self into writing this book. What are your current projects? Are you working on the next book? Yes. 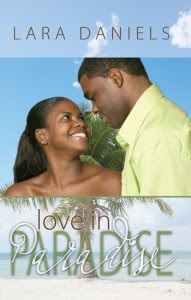 I am working on publishing my second novel, Love at Dawn, which really is a sequel to love in Paradise. This novel features Tory Da-Silva (Tony’s younger sister) and Rashad Macaulay (Tony Da-Silva’s best friend) who both fall in love while harbouring dark secrets from their past. At the same time, I am writing “Love Echoes” and “When Love came calling” – all of which are part of the Da-Silva romance saga Novels. My advice is: “Keep writing. No matter What.” Also, join an association of writers...it doesn’t have to be an official one. Get a writing buddy or buddies, people who are passionate like you in what they do whom you can encourage and who can encourage you, because it is a jungle out there in the writing industry. And finally, Learn all the skills that you possibly can to make you the best in your art. Like they say, writing is a love. Never lose sight of your love. At my website at www.laradaniels.com and on my page at "Speak Without Interruption" and more recently, my blog site which I am still very much new to and hope to get a hang of someday. Thank you for your time Lara. That's it! I hope you guys have enjoyed reading the interview. Go and get a copy of the book, it is amazing! I just saw this now, I am running off to get her book. I hope she becomes my buddie, wow, what an inspiration! I went to her website and her picture looks very farmiliar. Did she go to school in FGGC shagamu '96 set?